There are very few golfers who do not have a deep understanding of the value that a ProV1 or ProV1x can bring to the table. Whether bought, gifted, or found, they have a long standing reputation as being one of, if not the best of, the best as it relates to a premium golf ball. 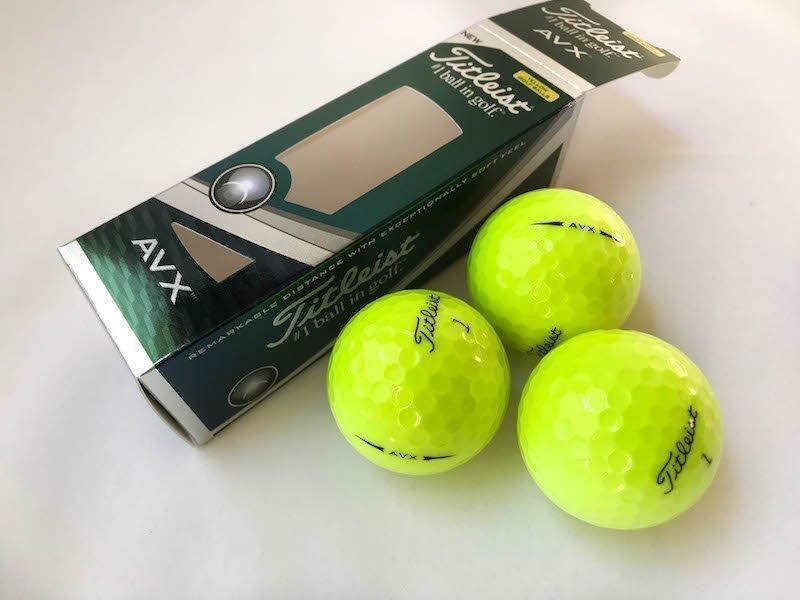 Changing the game is a tough concept, but one clearly welcomed by Titleist, who have recently introduced the AVX golf ball into the market. Designed to spin less, launch lower, and feel soft, it essentially hits on a handful of trouble points for amateur golfers with marginal swing flaws. CORE – AVX utilizes innovative, high speed, low compression core technology, resulting in a powerful engine to drive remarkable distance with exceptionally soft feel. COVER – The proprietary GRN41 cast thermoset urethane cover delivers premium scoring control with exceptionally soft feel and long lasting durability. CASING LAYER – The high flex casing layer enhances speed and controls spin to promote even greater distance. DIMPLE DESIGN – The unique spherically-tiled 352 tetrahedral catenary aerodynamic design delivers optimal and consistent flight on all shots. Despite it being the last component to be discussed on the list, probably the most compelling of the group is the dimple design, which feels like a big step away from Titleist. It seems a bit shallower, and gives off a bit of a hexagonal profile which presents a visually different look than something you would find with ProV1 etc. Titleist talks about this feature producing consistent and optimal flight throughout the shot spectrum, and that was well received during the testing of the product. Focusing on the cover of the golf ball, this seems like one place that the AVX truly shines. I was fortunate enough during testing to play some great golf, which means fewer lost balls, and had a terrible time getting any real wear and tear to show on the AVX cover. Balls that were used for multiple rounds showed very little cover wear, especially in the yellow finish, even despite striking trees square on, and getting plenty of wedge play from 90-125 yards. 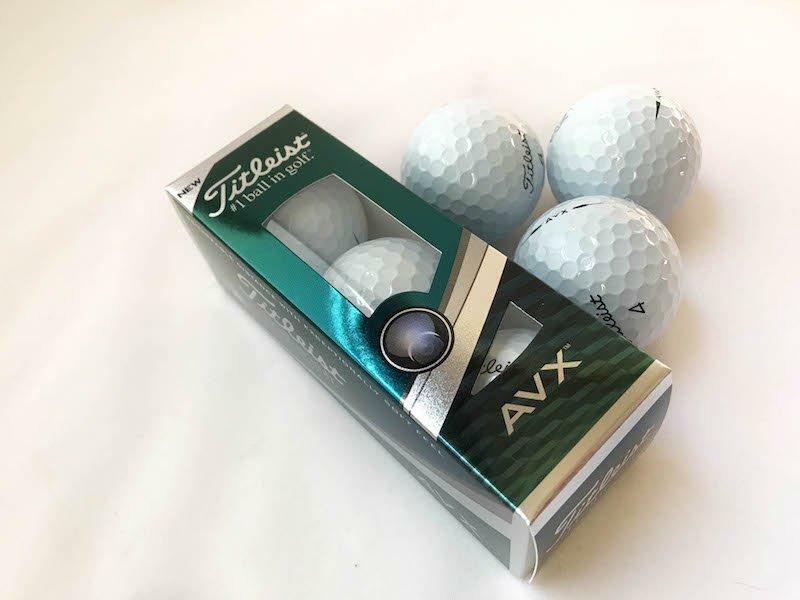 It became one of the most impressive components of the AVX profile, because the cost of a premium ball can become a bit of a frustrating talking point when after a handful of shots, the ball is visually worn down. Now, the remainder of this conversation becomes quite subjective. We are talking about a core that is designed with low compression tech that promotes soft feel and great distance, and that is something that is going to change for every individual who experiences the AVX for themselves. For me, I found great sustained distance off the driver, launching as expectedly low as the ball advertised, but more impressively some great distance numbers on irons with plenty of feedback in the hands. That includes around the green and with the putter, where the AVX feels (sounds) great off the face of my light milled putter. What was so interesting to me, was how commonly excited THPers were when they got their hands on AVX. Before, and even during the review, I participated in conversations about how this ball would make a huge difference in people’s games, creating extra distance and reduced spin. For some, that meant their wedges were not spinning off the greens anymore, while their drivers actually produced some rollout after landing. Both of these seemed to be validated during my own testing, where the driver seemed so penetrating that the ball was actually falling forward instead of my dreaded aggressive descent angle. A combination of new irons and AVX produced unmatchable distance, most notably into the wind where I would normally be plagued by having to club up at least once extra. Now, with AVX in play, the conversation is more about whether the wind will have a real impact on the ball, rather than how many clubs will be needed to compensate. Over the course of a handful of rounds and some greenside testing, it seems like AVX is the real deal for golfers who are seeking reduced launch height and removing some of their unwanted spin from the game. There is and always will be a small loss of value when greenside or trying to get that extra zip of spin on the ball with wedges, but this blend of compression and cover technology outweighs any potential negatives with unparalleled distance and penetration against the wind. Add in a very durable cover and at the very least it is a golf ball worth experiencing for golfers who are plagued by extra spin in their game. These golf balls can be found at retailers all over including Budget Golf. For more information on the Titleist AVX, visit www.Titleist.com. Great review Dan! The AVX is truly a remarkable golf ball especially for Titleist. Fantastic review Dan! I have played the AVX for a few rounds and have made many of the same observations. For my game, I much prefer it to the ProV1 or ProV1x. The first Titleist golf ball I can remember being excited about trying. I have never gotten along well the Prov1 or X. Thanks for the review. The AVX has been a very good ball for my game. I tend to get steep and strike balls with a lot of spin, and as a result I get many ballooning shots where distance suffers. The AVX hasn’t solved my problem of getting too steep, but it makes the consequences far less punishing. All while sacrificing very little in terms of greenside performance. Thanks for the review, Dan, great work! I just found an AVX the other day and have been contemplating putting it in for a round over one of my beloved TP5x….I’ll do it and come back and share my thoughts. I hope to have some of the same experiences you have had! Great work as always! I want to get my hands on some, gotta save up some $$$ doh!! Duo is probably the best ball out there. Rather than waste money on the new hype ball, learn how to hit the ball in the centre of the club or get them strengthened 1 degree.